Silly MS has me feeling tired and looking drunk today. I appear as if I may fall on my face at any moment. The room is spinning and I haven’t had a drink. Look out! I may throw up at any minute. What a great day! This is a continuation of exhaustion and bizarre symptoms I have experienced over the past week. Some of my habitual problems include vertigo, balance issues and weariness. Lately my symptoms are like a plane without a pilot. I have no control. My circumstance is out of my hands. Constrained by the sadistic beast who is Multiple Sclerosis. Fatigue, muscle spasms, cognitive impairment, bladder and bowel difficulties have all become part of my daily life not just occasional annoyances. It feels like I am slowly deteriorating. My latest symptom is the feeling of choking. I always choke when I eat and drink but lately it seems to have intensified. Yesterday morning while I was eating an orange it got stuck in my throat and I began struggling for air. I started to feel like I was suffocating. This is the worst I have ever choked and it scared me half to death. The most awful part is I now get the feeling even when I am not eating. Just a normal swallow will set it off. While the choking scares me, the fatigue irritates me. I’m always extremely weary and I know that getting up and doing something would probably make me feel better, but I can’t. I wake up feeling exhausted and by the afternoon it takes serious effort just to sit up and watch TV. I could sleep for days on end if my life would allow. Sometimes I feel like having MS is a full time 24 hours a day job with crummy benefits and no pay. I just need to find out where do I turn in my resignation and live without it. Not all pwMS feel exactly as you have described, but you’ve managed to capture the overall gist exceedingly well. I wish every other human would read this and other blogs of yours. Most people don’t understand how horrible MS can be. Frances, Thanks for reading. I wish every other human being would read this blog too!!!!! I’ve been secondary/progressive for almost 20 years now so have never qualified for any treatment–I was supposed to just accept that I would keep getting worse–but the “experts” were wrong! I went for a venogram in Seattle in March/11 that showed my azygos vein was 50% occluded and both jugulars were 90% blocked. The day after these veins were ballooned open, I no longer had to hold onto anything when standing–my balance had returned! I had several other improvements too, including elimination of heat intolerance and no more “weekly” MS headaches. I have before/after videos that can be found on lorimayb’s channel on youtube. Quality of life is important! Lori, I couldn’t agree more! I’ll have to visit your channel. I got laid-off at my real job. I wish MS would do the same. Odd Sock, Yes me too!!! Alvin, Thanks for the help. I know I’m somebody. I just want to dump the MS part. Your ” Worst Job Ever ” brought me to tears. I know we all share so much of this and every day I wish it would be better for all of us. If only we could revise our life resumes and apply for a different job. Thank you for your dedicated input and feelings each week. Liz M., I’ll get pass this in a minute. I have fun plans for the weekend coming up. Lisa. Yes that happens to me too. It just seems my sincerest words of encouragement, pledges of unwavering support to you, unconditional love and offers of a true limitless friendship pale in comparison to the daily uphill battle you fight. Is there anything at all your friends can do to help you? Daraka, You just did it! Oh my Nicole, it sounds so scary! While I don’t know what it’s like to have progressive MS, I don’t know if the success Terry Wahls has experienced can be replicated for others. She is a doctor with progressive MS who naturally treated herself out of her wheelchair. It seems like there could be hope. She wrote a book detailing what she did and has recently done a Ted Talk. Here’s a few links to help you learn more. I have the 1st edition and it is a very helpful and easy to understand book. I hope this is helpful and encouraging. Alahnna, Thanks for the advice. Yes, I’ve heard of Dr. Wahls before and have written about it too! Well goodness Nicole! You’ve got to commit to more than 12 days. It takes at least a month to begin experiencing the positive effects of breaking old habits and starting new ones. You will feel worse before you feel better. It’s all about changing your lifestyle… not fitting it into your current lifestyle. That will never work. And you can’t listen to the doctors. They are not experts. They never learned the role food and nutrition plays in contributing to the health of or illness in the human body. Which is crazy because we must eat to live… why wouldn’t it play a role? We can’t rely on the medical community to provide us with helpful information, they skip across the billion dollar industry hand-in-hand with the pharmaceutical industry. We must research and learn the truth on our own in order to help heal ourselves. Apologies for the long comment. I sure hope you give it another go soon. You don’t have to go completely organic either, just start by replacing what you currently eat with more healthy options; veggies, rice instead of pasta, almond milk instead of cow milk, etc. There are ways you can ease into it. I’ve always done that. Some habits are hard to break! We don’t get vacation-time…we lucky to have a few hours “comp-time”! Even then, we’re still preoccupied…. Like I said, worst job ever! Joan, Thanks for reading. I never thought about a vacation from this. I guess I just went straight to,”I quit!” Listen when I find that office I’ll be sure to let you know. Thanks for sharing. Yikes, the choking sounds like the problems I had swallowing during a flare a couple of years ago. Before going to the hospital, I lost 12 pounds in 6 days which turns out to be frowned upon if you aren’t a contestant on the Biggest Loser. A lesion on the brain stem impacting the muscles on one side of my tongue was the culprit. Things I found drinking hot or cold drinks (not room temp.) and tilting my head to the side helped me swallow. I was also given some tongue exercises to do which were a kind of silly fun way to pass time alone in traffic. Good luck, and I hope you feel better. Well Lived, I’m getting some excellent advise here. I can’t wait to try it all out. The choking sent you to the hospital? Yeah, not being able to swallow well at all leading to the weight loss combined with more headaches making me puke all combined to send me to the hospital. Nicole, sound like a relapse you are in right now. I am sorry to hear about the swallowing issue starting. That was on of my first symptoms and it is scary. Speech therapist taught me that if I keep a straw in a glass with some water while I eat, that putting that straw to your mouth will help to remind your brain to swallow. That is the way they teach stroke victims to swallow on their own. Give it a try and see if it help. Hugs to you and may God bless you on your journey. I never thought about a relapse since I’m secondary progressive. But that’s still a possibility, I’ll mention this to my doc. Thanks for the suggestion. Nicole, been there! 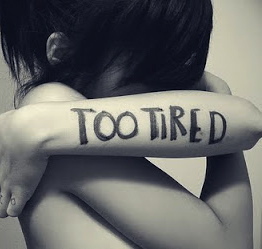 Fatigue is my worse enemy…I can barely hang on past 2-3 PM. After dinner, it’s jammies & medicine & I am out for the count. I don’t feel like I have cognative issues, but I do write everything down on my calendar, an old work habit! Sometimes I do have the choking/swallowing problem, I have eat/swallow differently now. Never have the vertigo either, just an overall feeling of feeling like crap all the time! Definitly need to talk to the doc abt these issues. Yes, I agree, where can I turn my resignation in? Kim, How do you eat/swallow differently? And Yes I will talk to doc. nicole…my husband cuts all my food for me, in small pieses. I also use a spoon instead of a fork, and I drink out of one of those sport bottles….easier to hold for me also. Kim, I never thought about that. Why would a spoon do better? it keeps the food off the floor & it’s just easier for me….not really sure why but it is! Kim, I gotta be honest, I was tickled by this. NICOLE….GLAD YOU GOT A CHUCKLE FROM THAT! MY DOGS DON’T LIKE THE SPOON….NO CLEANUP DUTY FOR THEM! Wow, Nicole. You’ve just described my worst days times two. I’ve had all these symptoms for years. The choking is the scariest for me, and I had a friend who died of it at age 31. She had MS. I don’t know what kind of meds you’re on and I won’t advise anyone to quit their meds. But as an experiment, when I was all out of other ideas, I got clean of all the drugs. Within 2 months of going off all my meds my symptoms improved about 90%. I’d blamed the symptoms on MS for years, and had to stop working because there was just no way I could cope in a workplace setting. It took a long time to realize most of it was side effects of all the drugs my neuro had me on. I still can’t walk, but at least now I can get out in public for short periods. Exhaustion still gets me down. My two younger kids are 11 and 16. They are in constant trouble at school. Each has at least 5 or 6 teachers, and I get phone calls and summons to the school – two different schools – every day. My poor husband needs to work long hours to support us and thinks I should, at the very least, be able to deal with the kids’ issues until he gets home in the evening. Of course he is also responsible for meals, home repairs, and housekeeping during his after-work hours. That puts him in a bad mood most evenings, and he and the kids go into their shouting matches. I’m like you – I want to say “Stop this ride and let me get off!”. Thanks for sharing – and for giving the rest of us permission to rant. Lauie, Oh the exhaustion is never ending. Thanks for reading my rant. It may be just stress?? The hurricane and aftermath may be, possibly, sorta – stressing the heck outta you. I know I’m very volunerable to stress, it makes me good for nothing. I hope it is very short-lived and you are better soon! Melissa, I’m hoping its short-lived too. Blogging helps. I don’t feel so alone. Oh my goodness Nicole! That is so terrifying. I hope that you have spoken to your Neuro about it the choking. I also struggle horribly with fatigue. I actually think I can handle and except the physical limitations as long as I am not chronically exhausted. At least I could still have a mostly normal life and think clearly. I’m praying that you get some relief soon! I love your blog & I’m sorry you’re not feeling 100%. Have you had your B12 level checked? My husband was very fatigued & we assumed it was due to his MS, but his doctor suggested that he might be low in B12. That was true & his energy has returned! Sammie, Yet another thing I can ask my doc. Thanks for the input. 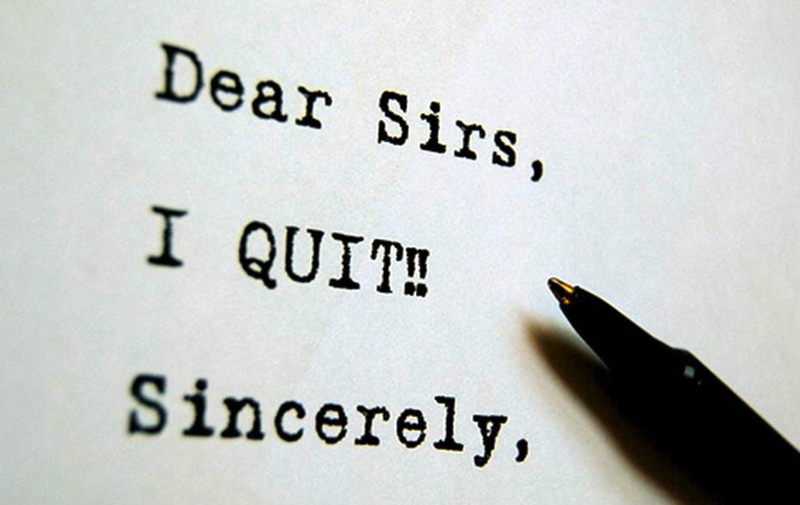 I understand turning in a resignation letter. Hold on — are you aquainted with Betty Iams? She was disgnosed with Primary Progressive MS 15 years ago — she has worked hard, researched and has been in remission for many years. She has written about it and you can check it out on Amazon. I recently desided that I am tired of having a full-time job of managing my MS. I have just purchased her book, and am determined to use it to begin taking better care of myself. Maybe we can trade stories about our new job soon! Linda, Thanks so much. You just made me smile! Not only is it the worse job ever, but it doesn’t pay. In fact, it costs money. Who was the sucker who wanted to sign up for that? It wasn’t you or me, that’s for sure. I had not been particularly happy at this job. The morale was low, the main boss was nasty and mean to employees, and I had tried my best to keep my MS a secret, a difficult task at best– the stress was high to say the least, therein triggering several problems with my MS.
All of these things considered, part of me that thought maybe this was a sign. A sign of better times to come. A sign that something greater than me was closing one door, but would soon open another. While I have not been particularly strong in my faith to God, I have recently turned to Him as my life has become more difficult (I am sure that is the tendency of many.. ), financial difficulties have arisen, and my MS has begun to flare up. So, I told myself that I was being tested. This was part of that test. I must push through and persevere. I must know that THIS TOO SHALL PASS. And God will only give me so much that I can handle. I truly believe that is why the hardest things in life sometimes come in threes– because we as humans can only make it through three difficult moments before we must begin to move forward and grow. I know there is little that can be related here, but I just want to share my story with you to let you know that your story reminded me of what is most important in life. Now, I am once again cognoscente of the small things that I am so very lucky for — I am breathing, I can see/smell/taste/hear beautiful things all around me, I have wonderful people around me who love me, and would do anything for me, and I am on this beautiful earth, though its Nature can sometimes be treacherous– dang Isaac! I have an app on my iPhone that gives me daily devotions (its called Devotion), or scriptures. The devotion for yesterday morning (which I read right before I learned of my job being terminated) was titled “Your Mess”. I thought you might find it as helpful as I did. I believe you will persevere and heal. I believe your body will move through this challenge and you will feel relief. Hang in there and know that you have an enormous community behind you, supporting you, praying for you, and sending you many positive thoughts. SH, Thanks for reading my rant. As you speak of inspirations I just remembered today is 9/11 and I think my perception just changed too. Try tucking your ching when you swallow. The dissiness and nausea can sometimes be helped with knowing where your balance is. Cindy, Thanks a lot. I’ll remember that. I have experenced every last one of the things you described. Thank you Nicole for letting me know at least I’m not alone. John, Thank you for reading and letting me know also that I’m not the only one! Elaine, Thanks for reading, You are lucky to get in with Dr. Hughes. I hope she helps you. Let me know. Sorry about Tysabri this month, but keep it up!